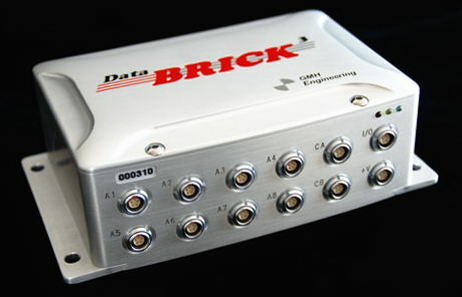 The DataBRICK provides reliable, high performance data acquisition in a small and extremely rugged package. The DataBRICK is user friendly and intuitive. You program the DataBRICK to work the way you want it to work. It can be configured for a test in just a few minutes. You select the trigger mode and the sample rate. Each analog channel can sample up to 17,000 samples per second. When not streaming data to the hard drive of your computer, the DataBRICK3 has onboard storage for over 4 million data points.